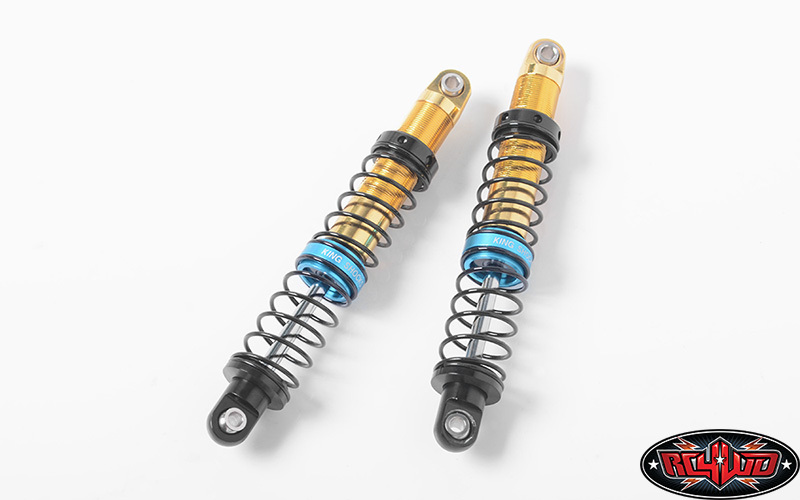 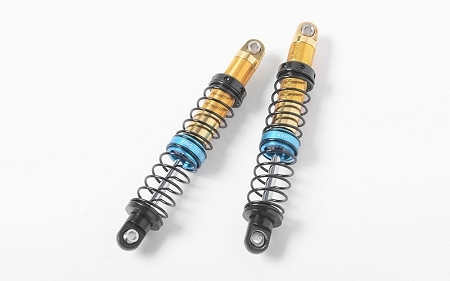 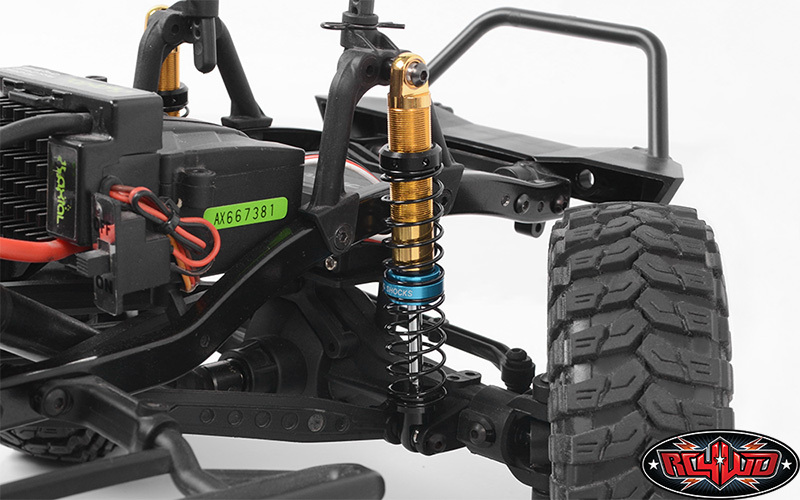 These "Limited Edition GOLD" Dual Spring Shocks are officially licensed by King Shocks. 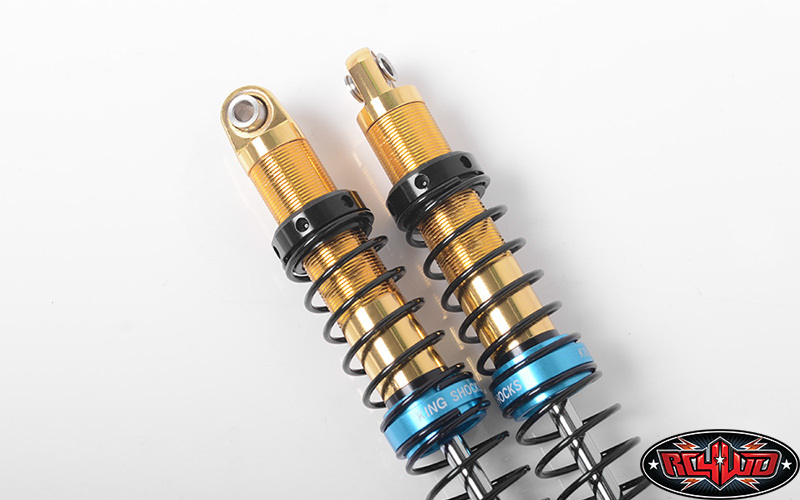 The machined billet aluminum shocks are completely rebuildable and feature a limited edition mirror gold finish. 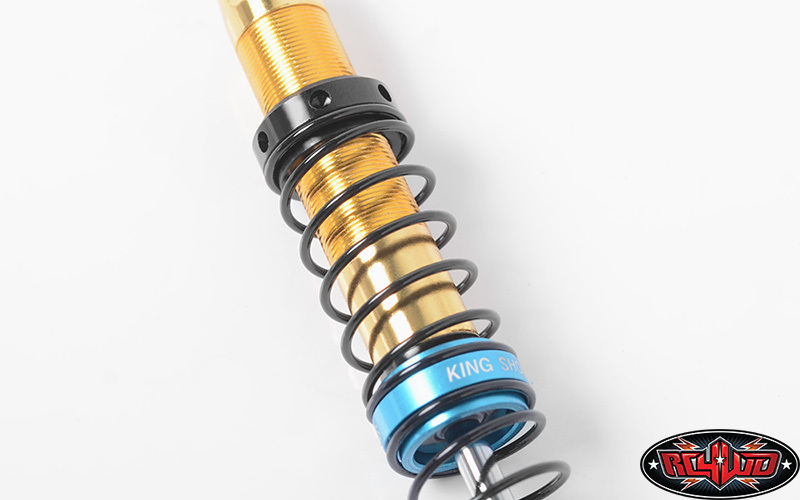 Blue powder-coated springs, laser etched shock caps and sleeves with the famous King logo! 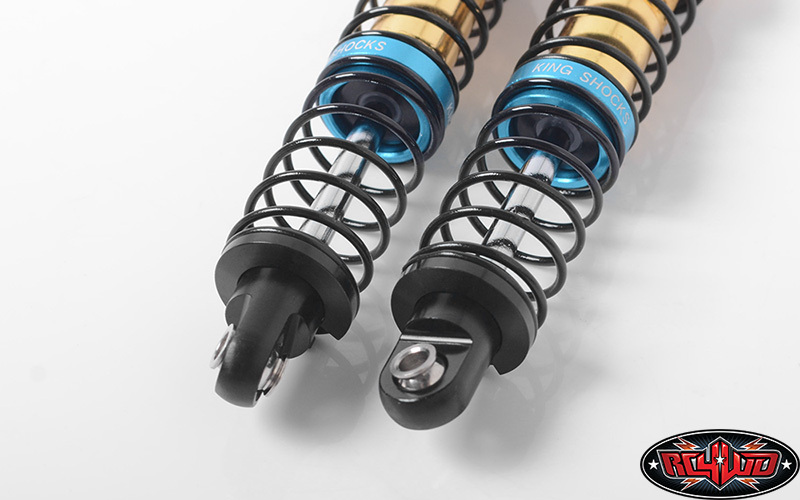 Dual internal o-rings help seal in the oil providing consistent shock dampening when blasting thru the rough stuff. 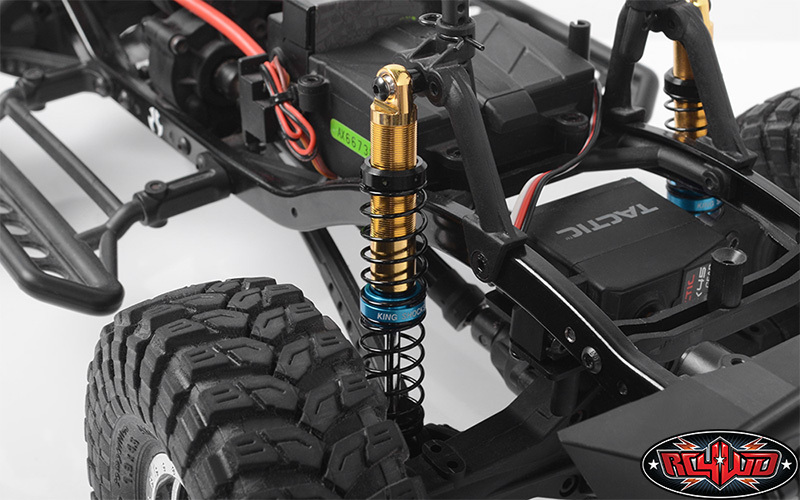 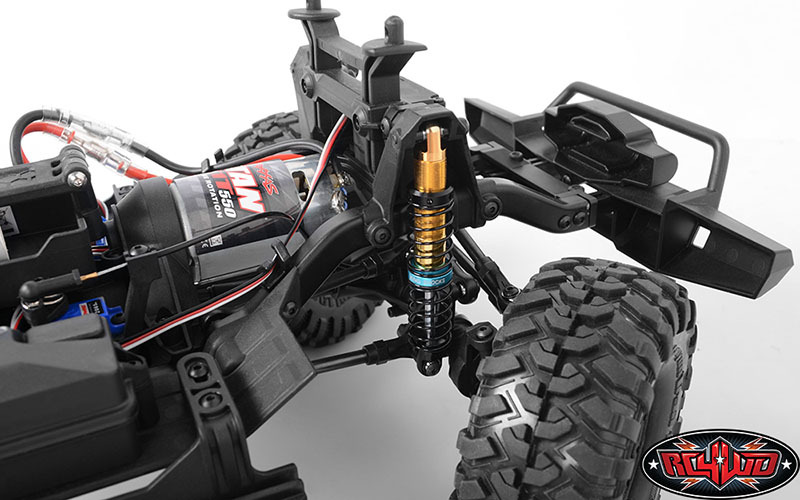 “One up” your buddies with these awesome RC4WD Aluminum King shocks today!